Sunway Lagoon's Aqua Run 2017 | JustRunLah! This event is open to all Malaysians and non-Malaysians and applicable to those 13 years old and above. 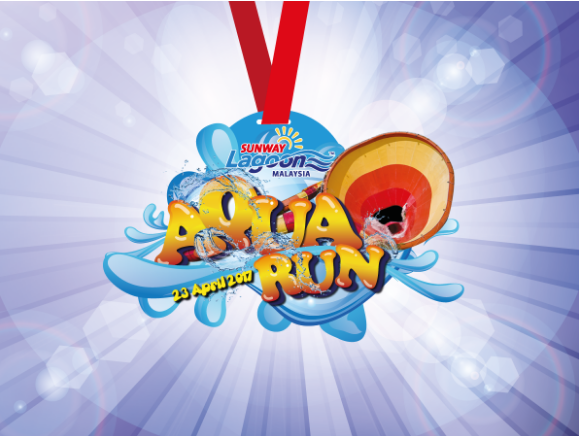 Aqua Run is bringing Malaysia’s Best Water Fun-Run experience to the casual runners and fun seekers. A fun yet challenging course, Aqua Run courses features multiple fun zones including Rain Shower, Splash Attack, Puddles Mattress, Aqua Climb and Wall Diving. Prepare for an unforgettable splashing water moments at each of the fun zones. Sway your way across each fun zone with your family and friends and make it count! Aqua Run starts from 7am – 11am on 23rd April 2017. Join Aqua Run now for a splashing fun time!